Maybe I’m clever, or maybe I’m just lazy. I’m always looking to “delegate” repetitive tasks. I love using a tool like Zapier to get things done without me or our team lifting a finger. And that’s the whole point of a sales funnel, right? You want to be able to sell while you sleep. As you may know, Google consistently ranks us as the #1 authority for online sales funnels. 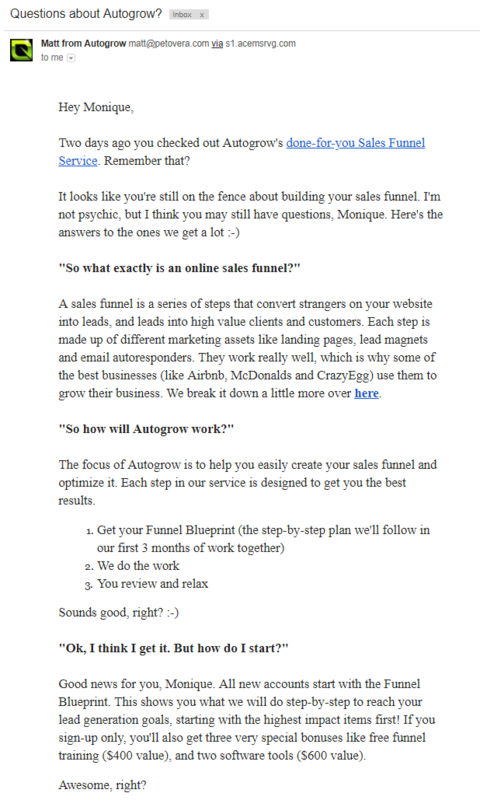 But there’s a key part about high-converting funnels that people aren’t talking about — and that’s a well-written Frequently Asked Questions section, or FAQ for short. Over the years, I’ve learned that an effective FAQ section should be written by your customers, not you. Why? Because FAQs need to be written in a voice your customer understands. It helps them get “off the fence” about buying your product. 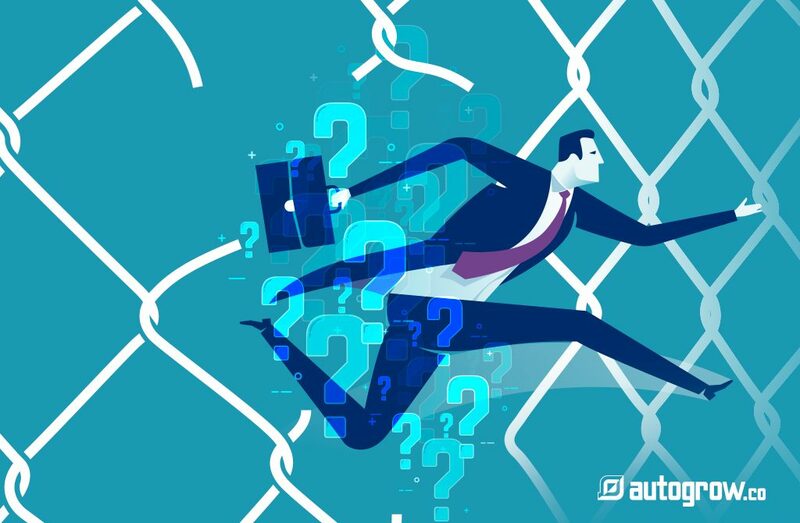 Since this week at AutoGrow is all about sales conversions, we’re sharing 10 tips to help you write FAQs that get your customers off the fence and into your inbox as a lead (or buying your products). We also threw in some advanced bonus tips at the end to help you create some serious, next-level FAQ copy. Most business owners don’t think FAQs are a big deal. They throw some questions together that they think their audience will ask and call it a day. This is a critical mistake. You shouldn’t write FAQs to fill space on your website. Otherwise, you’re missing a great opportunity to convince cautious buyers. Here’s a general stereotype of what an FAQ pre-sale page looks like from B2B SaaS company LinkPoint360. You can see that these are just general questions about the company. In my opinion, these would be better left on the About page. Don’t waste space in your FAQ with questions that don’t involve your customers’ specific questions about the product they’re about to buy. The goal is to put them at ease about the sale. Write with the intention of giving them peace of mind. You could be selling web design services or headphones — it doesn’t matter. When a prospective customer hits your site, they might as well be walking into your bricks-and-mortar store. Now, unlike a real store, there’s no one around to greet them or answer their questions online. That’s where your FAQ comes in. It gives them answers to specific questions related to what you sell. They’re too lazy to call or email you — and why should they? If the customer can’t find the info they need in your FAQs section, they’re going to go with a competitor. Here’s an analogy for you. Think of your FAQs section like a shoe store. It’s a chance for your customer to pull you aside and ask, “Do you have this in a size 10?” or “What’s your return policy?”. FAQs let you advance the conversation with your customer without you having to be there. So let’s jump into the 10 tips that’ll help you get started. Tip #1: If you’re not sure where to start, try some universal questions. Look at your industry and see what your competitors are doing. Don’t copy them, but use them as inspiration. This will also tell you what your customers care about most when buying. What questions does your closest competitor answer that you haven’t? Have you heard these questions from customers before? Jot these down and whittle your list to six or 10 of the most commonly-asked questions. Don’t be afraid to include questions with obvious answers. Even though people can probably guess the answer to some of these questions, that’s not the point. Remember, you’re trying to put the customer’s mind at ease. Also, keep in mind that new customers don’t know, like, or trust you yet. Confirming the “basics” is important to them. 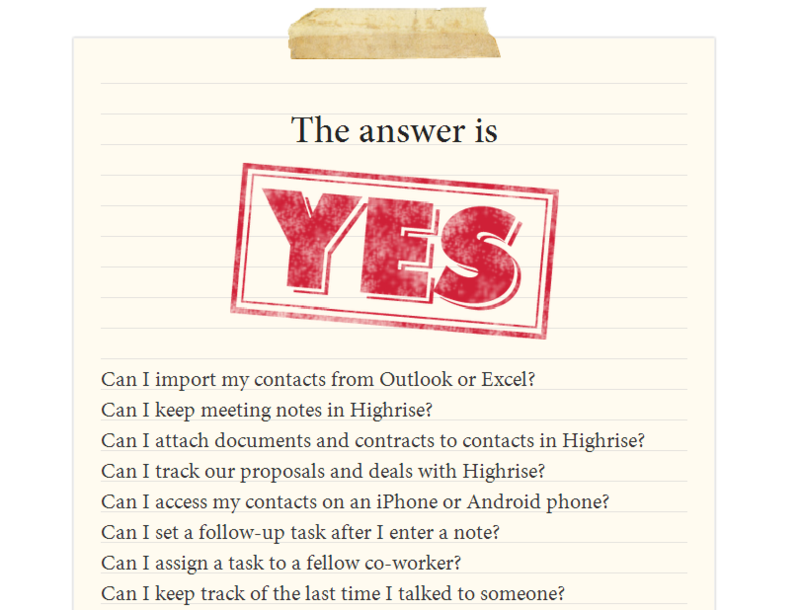 Take, for instance, CRM software company Highrise and their FAQs list. Their questions mainly address a customer’s risk-avoidance mentality. These questions are relevant to would-be customers. Tip #2: Talk to customers as often as possible! The easiest way to figure out which questions to include in your FAQ is to talk with your customers. User feedback is the best way to know what’s going on inside your customers’ heads. How else are you going to know why they’re not buying? This should set the focus in part, or in whole, for your FAQ section. For example, when we offered our done-for-you funnel service, we had an email automation set up for customers who were on the fence. If someone left our demo page without signing up, we’d send them a series of emails asking why, and if we could help. This was a great way to get people replying to our emails with questions we could then incorporate into our FAQs section. You could also hire an account manager to manually follow up with leads who don’t respond to your automated emails. Manual follow-up creates a dialogue between you and your customer. Use this interaction to understand them even more. Tip #3: Include a call to action on your FAQs page. We’ve written a lot about how CTA buttons are essential for conversions (here’s one example and here’s another). Similarly, one of the simplest ways you can positively influence conversions with an FAQ section is to include a CTA button close by. Check out this example from the American Cancer Society. In this case, their call to action is to get donations. The red “donate” button is towards the top right of the page. Note the high level of color contrast so the button easily catches the eye. We publish actionable content every day of the week on how to grow your traffic, subscribers and sales. Sign up for our newsletter so you can start systematically doubling your business month after month. Tip #4: Nest valuable social proof next to or within the FAQs. Most people reading your FAQs are looking for reassurance. They want to know how X feature works or info on your billing and refund policy. Remember, people are inherently risk-averse. To earn a sale, the content of your website, including your FAQs, must overcome the inertia of risk perception. I would say the best way to do this is by adding social proof to your FAQs. Social proof could be as simple as customer logos close to your FAQs section. The idea here is that you are leveraging the credibility of known third parties, since you are less well-known to the customer. Check out how Wipster, a video collaboration platform, does it. Just about anyone would recognize several of these logos. You can always look for other sources to reference. For example, you can search for relevant quotes from historical figures or even large brands who have written an article on a related topic. Quote them and include their picture or logo. A word of caution, though: the keyword here is “relevant.” You can’t just take people’s pictures or logos if they don’t fit. Make sure they relate to what your company is or does. Tip #5: FAQs are boring. Make questions and answers personal, conversational and memorable. When you’re writing your FAQs, think of them like conversations you might be having with clients over the phone. That means you should speak from the “we” perspective to represent your company. Don’t get fancy with high-level language. Keep it simple. People will understand you better and you’ll avoid alienating potential customers. I also recommend putting quotes around each question in your FAQs list. This makes the questions and answers flow more like a real conversation. People sometimes prefer to read it like this because it’s showing action through a back-and-forth dialogue. Kind of like what you would read in a novel when two characters are talking. Consider the story of Fidelis Cloer as inspiration for making your FAQs memorable. After the fall of Baghdad to American forces in 2003, Fidelis expected the situation to get worse, and it did. Soon, roadside bombings became the norm. He was able to find US contractors and wealthy natives who wanted more security moving around the country. Armored trucks were that security. 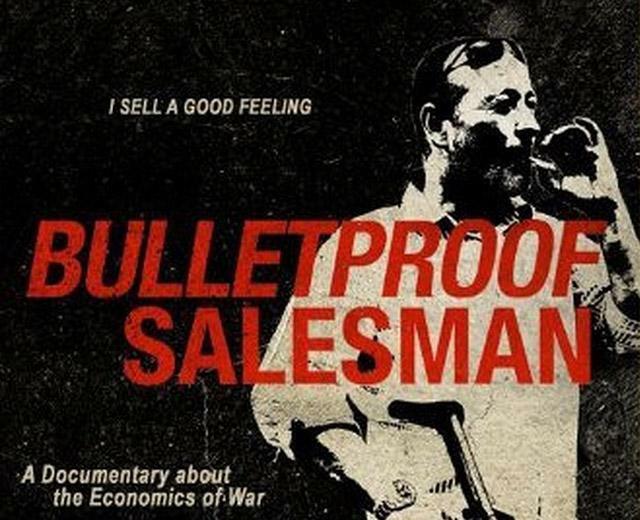 On one occasion, a client asked Fidelis if he believed in his product enough to sit in it and drive while he was shot at. He quickly agreed to do it. 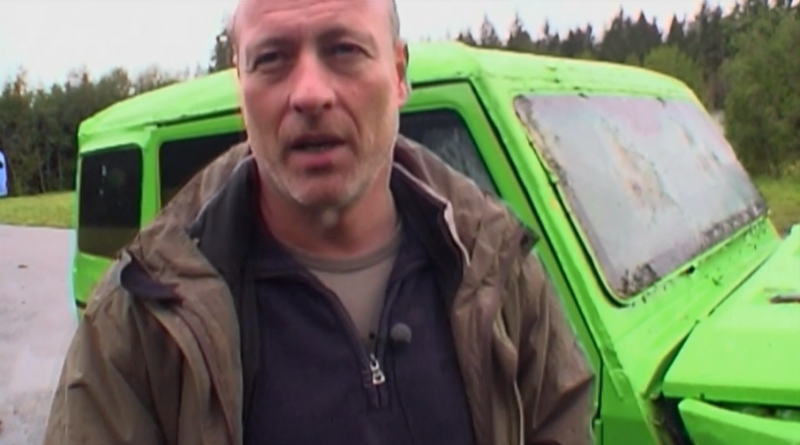 Luckily, his armored trucks worked. The client, of course, bought one. Think about that example for a minute. How can you use your FAQ section to create a compelling, memorable image in your customer’s mind? Your FAQS do not have to be boring. They’re just one more opportunity to make an impression. Use them to show that you care about your customer and want to make their lives better. Want to take the guesswork out of creating high-converting pages, retargeting ads and more? Grab my ultimate swipe file for your sales funnel here. Tip #6: Place the FAQ on your pricing page immediately prior to signup. Your FAQs should definitely be on your pricing page. This is where your customers will have the most questions. In the past, I’ve experimented with having FAQs on both the homepage and the pricing page. I kept the questions varied though, so they weren’t identical. I kept the homepage FAQs more feature-focused. The FAQs on the pricing page were more about reducing financial risk. It was also where I introduced flexible pricing plans. Pricing is almost always the last hurdle a client jumps over before they buy. You definitely want to make sure the FAQs on your pricing page answer any last minute questions they have. Wipster, which we used as an example before, uses this practice. A growing number of other SaaS apps and companies do, too. Highrise, which we also discussed, does this as well. Tip #7: Include visual cues to support the text. Take a look at the FAQs from electricity provider ComEd. They organize their FAQ section by various topics. This one below, “hourly pricing,” has a money bag next to it so customers can find what they want visually. Research shows that images with written text are easier for the brain to encode into memory. This is because our brain can draw relationships between words and images more efficiently. Try using more images (where you can) in your FAQ copy. Especially if it will help customers more easily find and digest the information. Tip #8: Get creative, or copy someone who is. It shows how they answered some common questions in a pretty creative way. I like this because it’s visually convenient. It’s also clever because it’s almost presented as a joke. For each question the customer reads here, they’re going to repeat “yes” in their heads. Tip #9: Make it easy for visitors to find information via a drop-down list and/or bullet points. 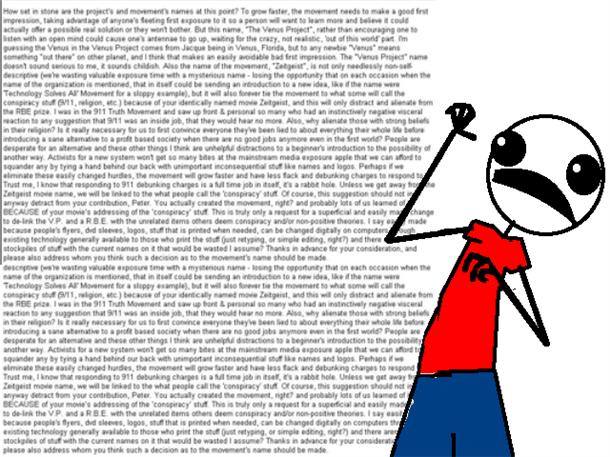 Nobody wants to read a wall of text. Loop11 once did this with their FAQ section. It’s convenient to see all the questions upfront without scrolling, but there are too many questions. Not only that, but the light green color is poorly contrasted against the background. Who wants to sort through this for an answer? 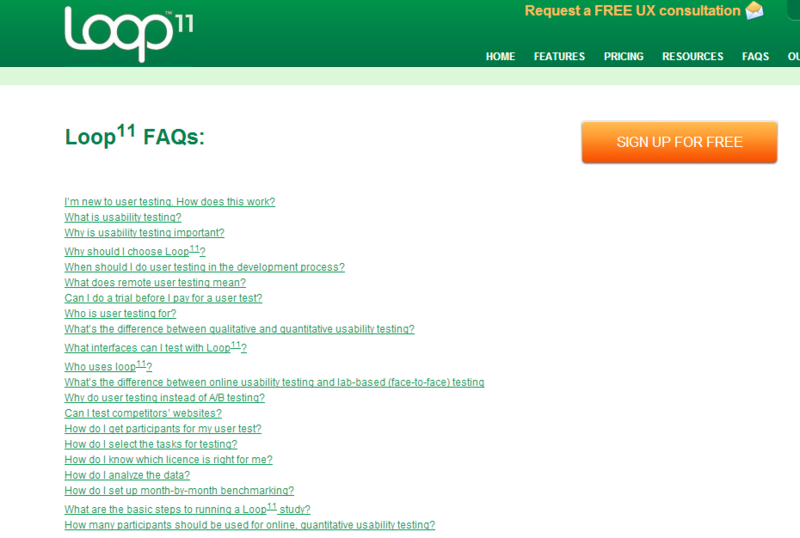 Today, Loop11’s FAQs page is more organized. However, the info isn’t really presented in a question-and-answer format. Now, let’s move onto an example like the GS1 US. They’ve hyperlinked bullet points to their top three support questions for quick access. This is great because customers can quickly click to where they need to go. When crafting your own FAQs, take into account small details like line spacing, font size, layout, organization and white space. It’ll stop people from skipping your FAQs because they feel like there’s too much information on the page. Tip #10: Identify the questions customers don’t realize they’re not asking. This tip comes courtesy of copywriter Nicolas Cole. 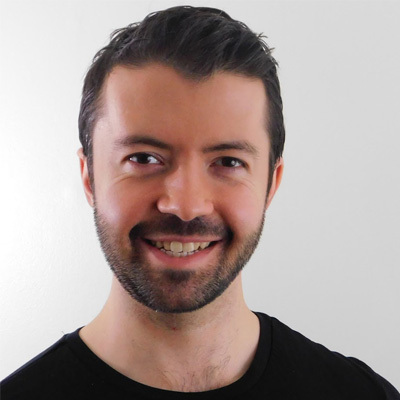 Cole is the founder of positioning agency Digital Press. His agency has been recognized by Business Insider, Entrepreneur, Time, Forbes and more. This is a great tip because as Nicolas says, it’s a great way to separate your business from your competitors. Add questions your customers may not be asking, but could benefit from. Especially if the majority of your clients don’t realize they need it when they click on your FAQ. It’s a solid offering that would benefit them, and also a good opportunity to have them purchase a higher-priced package. After you’ve taken action on all the above, consider trying some of these advanced tips to supercharge your sales or lead gen.
Advanced Tip #1: Integrate video. 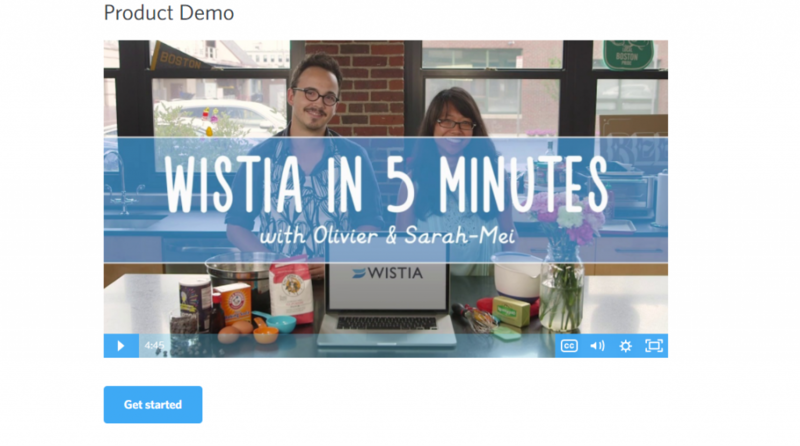 Integrating videos like Wistia does on their website is a great example of using your FAQs to market your product. It takes the “conversation with your customer” element to a whole new level. Advanced Tip #2: Have your best customers write responses to each question in their own words. You might be surprised what they write. 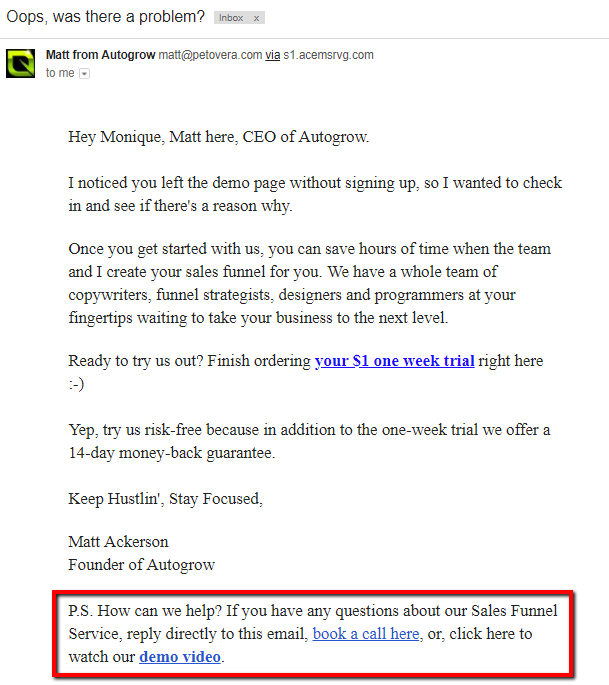 Advanced Tip #3: Send the FAQ in an email follow-up to leads who haven’t converted. Crazy Egg and several other marketers follow this practice. It’s also a tactic we’ve used as well for AutoGrow. This is a simple way to be proactive while also engaging prospective customers. Advanced Tip #4: Track how many FAQs a person reads based on mouse hovers or clicks. If it’s three or more, offer them a coupon or a bonus on the spot. If you or someone else on your team is code-savvy, you can track which questions are being clicked on most. If a customer clicks more than three questions, respond by showing them a pop-up offer to help via chat. You can even give them a coupon code offer, depending on which questions they click. This may sound complex, but it’s worth testing if you have the traffic, tech skills and revenue to justify it. Advanced Tip #5: Create individual landing pages or posts for each FAQ question, and link to them in the FAQ. This is a practical tip for attracting more relevant traffic to your website. Create a dedicated landing page or blog post in WordPress for each common question you get. Then, link to that post from the corresponding question in your FAQ. I recommend answering the questions concisely on the FAQ page and then including a link with relevant anchor text at the end of the answer. This way, if a customer wants to read more in-depth information, it’s available to them. Here’s a great example from River Pools. 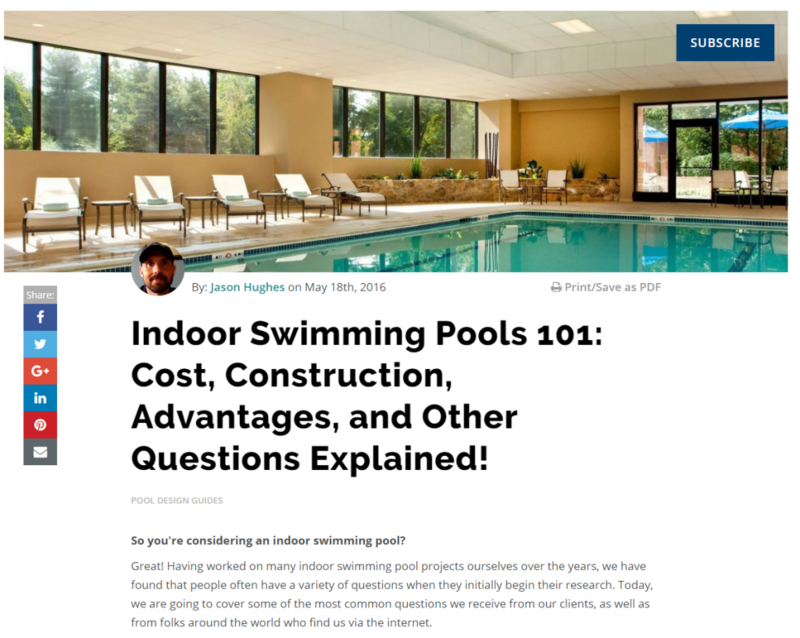 They took a topic in their industry—indoor swimming pools—and wrote a lengthy, detailed blog post answering the most common questions about these pools. The reason I recommend this tactic is because you don’t want to push your potential customer off your landing page. Instead, you want to keep them in buy mode as long as possible to maximize your conversion rate. Doing it this way, you get the best of both worlds: SEO benefits, a high conversion rate and a better customer experience in case the concise answer isn’t clear enough. FAQs don’t mean much without a sales funnel that converts. Download our 11-Point Perfect Sales Funnel Checklist today. FAQs are an integral part of any well-thought-out sales funnel. Everyone knows what they are, but not everyone uses them to their full potential. That can be to your benefit. Try implementing at least one of the tips above, and see how it affects your sales. FAQs make customers comfortable with purchasing by clearly and definitively answering their most burning questions. You can also set clear expectations regarding product/service value and the flexibility of your purchase terms. Your site’s conversion rate could increase if you create blog posts or other landing pages around answers your customers want to know more about. This also helps with SEO! Take your FAQs to the next level by adding engaging videos or images that help your customer get to know you, and more easily find the information they’re looking for. If your FAQs are a wall of text, this sends a “do not engage” signal to your customer. Make sure your FAQs are well-organized in question-and-answer format. Use quotes around your questions to help them sound like they’re coming from actual customers. Do you already have an FAQ page? Are you going to create one after reading this? Which of these tips was your favorite and why? Thanks for a comprehensive article—just some feedback from the Litmus gang here. While we don’t have a product FAQ linked to from our main site, we also don’t make any efforts to hide our help center/FAQ—in fact, we welcome anyone to check it out! It’s available to the public at https://litmus.com/help/ and we frequently link to articles there. Our entire website is also written in a conversational tone, meant to answer common questions about features as potential customers are browsing. Thanks for the comment Justine. Sorry, didn’t mean to sound too critical of what you guys are doing, and I stand corrected. I completely missed that “Help” page, which does look very complete and includes video (nice). If help is meant to assist customers prior to purchase, you might want to think about changing the label from “Help” to “Questions?” or something similar because I would only think to click on Help if I was already signed up and using the product. The thing I like about this post is that it drills down far. Most people think of a FAQ as a throw in and don’t truly build it to help all areas of your site/business. This is easily the most detailed assessment on how to build a FAQ I have seen. Hey Michael, thanks for reading it and for the comment. You’re absolutely right, an FAQ is simply one more pillar upon which you have an (often overlooked) opportunity to service and sell customers. First thing is first, I love your blog’s layout and design; it’s very easy to navigate and the colors are pleasant to the eyes. Second, this article is very timely because I’ve been meaning to look for a web design team here in Phoenix to add an FAQ page on my website. Clearly, after reading this I now have a list to follow on what standard an FAQ page should have. Thanks for this! Nice, glad to see you’re taking action. Keep up the good work, Daniel. This article would have been great had it been edited. Thanks for the honest feedback Holly. We’ll add it to our content queue for editing. We’ll also add some updated info to it. Just tweeted it. Great information. subscribers who get fresh marketing content from us on a weekly basis. Sent once per week, all killer, no filler. 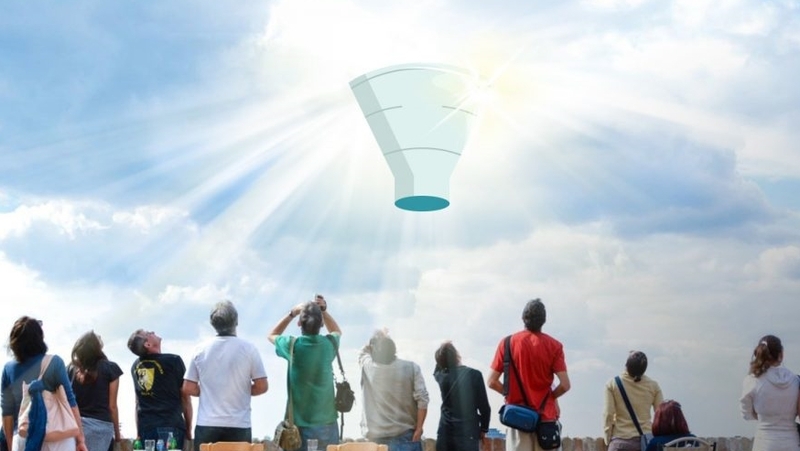 While you're here, would you like our 11-point perfect sales funnel checklist... For FREE? 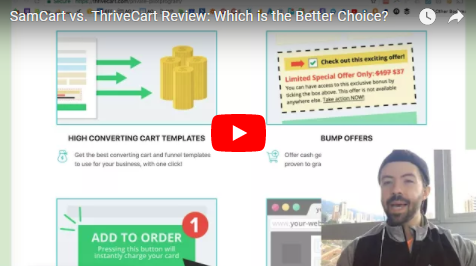 Copyright © 2019 AutoGrow.co / Petovera Inc.
SamCart vs. ThriveCart Review: Which is the Better Choice?